The Control of Substances Hazardous to Health Regulations, 2002 (COSHH) stipulate that an employer must assess the risks to health from chemicals in the workplace. 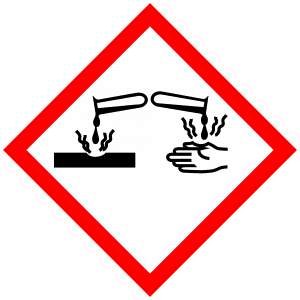 The employer must make sure that exposure to chemicals is either prevented, or properly controlled. To do this the employer may need to measure the amount of chemical exposure. Biological monitoring can be used to indicate how much of a chemical has entered the body. It involves measuring the chemical that the employee is exposed to at work in a sample of breath, urine or blood. Which of these three samples is used depends on how the chemical that the employee is exposed to is processed by your body. Exposure Guidance Values for some substances may be found in the publication EH40 Occupational Exposure Limits (EH40/97 ISBN 0 7176 1315 1, this is updated annually). Under some circumstances, an employer is required under health and safety law to carry out biological monitoring. There is an obligation for the employees to co-operate e.g. Control of Lead at Work Regulations 1998 (as amended). If employees are exposed to chemicals in their job, the most common way of finding out the degree to which they are exposed is to measure how much of the chemical is present in the air. However, this does not tell you how much of the chemical has actually entered the body. In particular, it does not measure how much has entered the body through the skin or by swallowing. This is why Acorn Occupational Health sometimes recommends biological monitoring for certain chemicals. If results indicate that a high level of a chemical has entered the body it does not necessarily mean that the employee will become ill. However, it does indicate that the exposure may not be properly controlled. Therefore, a risk assessment of exposure levels and controls can be conducted.